"I am extremely happy, and this color (red brick) matches my brick very well." "I'm posing like the people who put it up... I have only great things to say of St. Clair Awning Company!". "Everything went very smooth, I'm glad I chose this color (saddle). Cocktails will be wonderful under our awning." 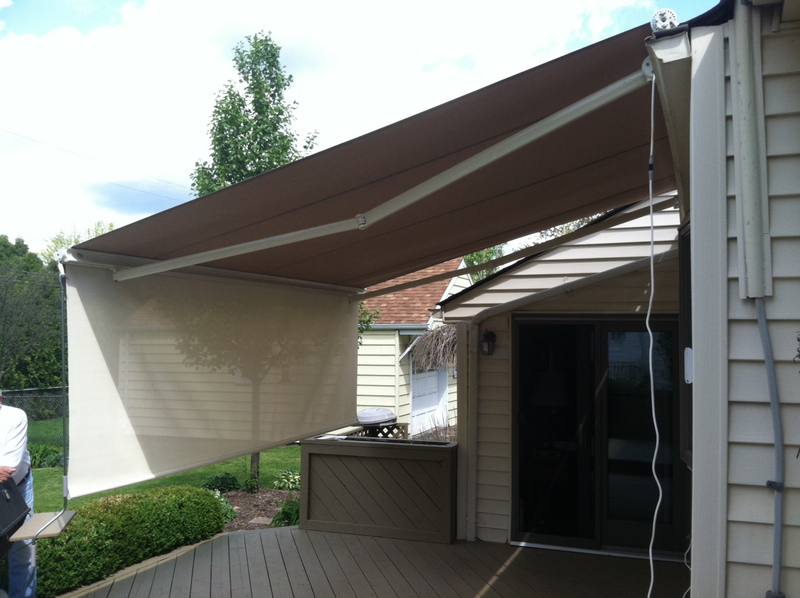 "Their workmanship was great, we are very happy with the quality of the work and awnings. If we didn't order the front shade on the Pro, we would have been very upset." "I didn't have to worry at all. 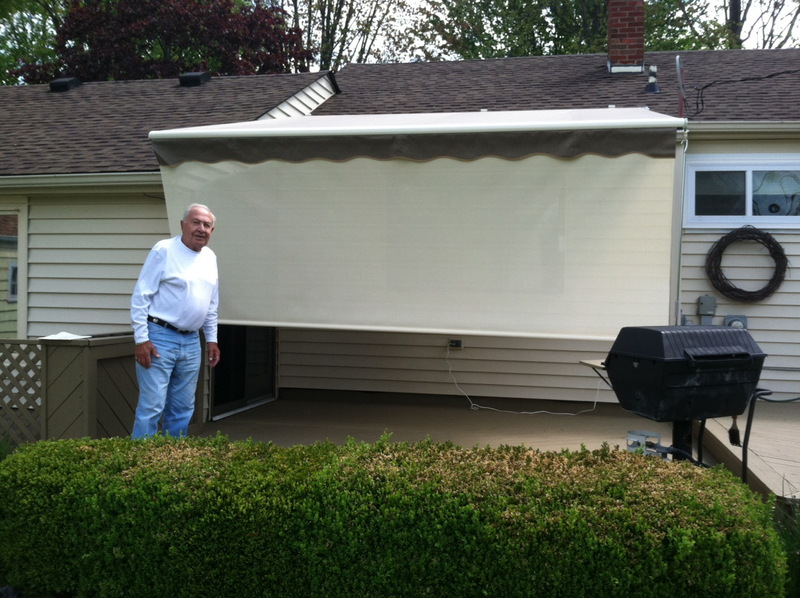 I have much confidence in Scott and love the new awning."